RVING ALASKA TIP #5: You can often find free internet at visitor centers and businesses such as McDonald’s, Starbucks and Tim Hortons (in Canada). However, don’t count on the speeds being very good. If you are visiting a port town that welcomes cruise ships you may find the internet speed decreases when the ships are in town. Whenever possible, embrace the struggle that being without good internet offers. If you are not familiar with being in “bear country” it can be quite a shock to adjust to the fact that you are sharing space with grizzlies and black bears. Campground signs remind you often to keep ALL your food locked away and brief you on proper bear encounter etiquette. Bear spray was a part of our hiking gear and the kids were encouraged to help us make noise while on trails as to not startle a bear with our presence. While we did see a large number of bears throughout the summer, most of them were in the Yukon from the comfort and safety of our truck. One was nearby as we walked the boardwalk to Liard Hot Springs and Trent saw several nearby while fishing for salmon on the Russian River. In both of these cases, the bears were distracted with their own agenda and not aggressive or threatening. We saw several moose but kept a safe distance. Other larger animals were viewed from a vehicle (Doll Sheep, Caribou, Moose and Buffalo). Photo: This black bear was one of many that we saw on the side of the road while driving. 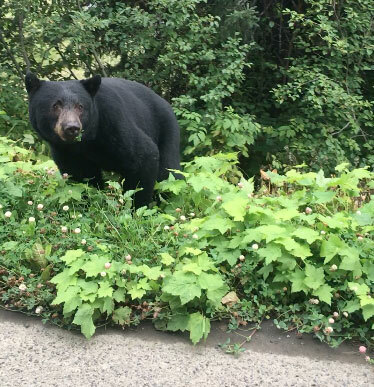 RVING ALASKA TIP #6: Become familiar with ways to discourage bear activity near your campsite. Purchase bear spray and learn how to use it. Recognize that well-fed bears from plentiful salmon are not looking to feed on humans. Don’t let fear keep you from exploring the beautiful outdoors (link). 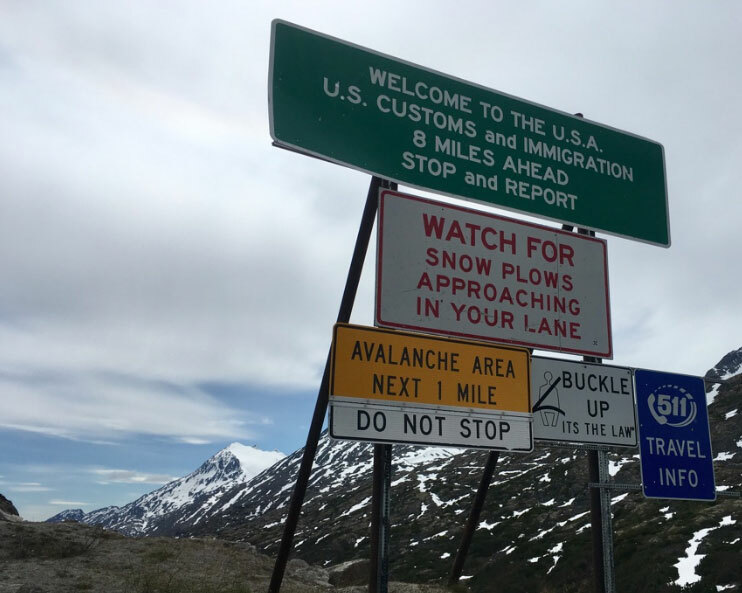 Obviously, our experience RVing in Alaska cannot predict what yours will be. However, I hope you will find solace in the fact that we encountered no major breakdowns while touring the last frontier. I would like to think that it was due to the advance planning and preparation that my husband invested. If you’d like more details on the specifics of Trent’s RV and truck modifications and upgrades, you can watch his YouTube video tutorials for details on our MORyde heavy duty shackles, solar upgrade, 14 ply tire, and freshwater upgrade. While we were thankfully able to skirt any mechanical crisis during our trip, we did experience two flat tires (see lesson 8) and we broke a hanger bolt for our rear leaf suspension on our RV. I will say that there were a number of locations in which a breakdown could prove particularly tricky, mainly any location far from town or without a cell signal. However, by the grace of God, we were near a town for both of our flat tires. The day that our hanger bolt broke (outside of cell range by many miles), God provided the assistance needed by allowing our breakdown to occur at a small roadside stop where a man had the tools needed to fabricate two metal plates to the exact size needed to repair our suspension and get us back on the road within a few hours. RVING ALASKA TIP #7: I highly recommend that you consider traveling with another RVer (bonus points if they are mechanical). Bring extra parts. We brought along an extra water pump (because we were boondocking so often that we thought our pump might burn out–it didn’t), extra leaf springs and suspension bolts. Over and over again we heard tales of woe concerning flat tires and cracked windshields when RVing in Alaska. This is understandable. Many roads are under construction increasing the chances of flying rocks and running over sharp road debris. We did experience two tire issues. Thankfully, because of our tire pressure monitoring system (which Trent explains fully in this YouTube video), we were able to catch them early before they resulted in a blowout. We did not, however, incur any damage to our windshield. RVING ALASKA TIP #8: I do think it is worth noting that both of our tire issues were on the truck and not the RV. Before our leaving for Alaska, Trent ordered 14 ply tires and we believe they have provided a much-improved tire experience. You can click here for a full description of the tires he purchased. Trent says that these tires are his #1 recommended upgrade for any new RVer (even if you don’t plan to travel to Alaska). Overall we found food prices both in Canada and in Alaska to be higher than the average food prices in the lower 48. Fresh fruit and vegetables were particularly higher. However, we were pleasantly surprised to discover that good meat prices could be found from time to time and we stocked up whenever possible. I found organic ground beef on sale at Fred Meyer for $3.88/lb, Organic chicken at Costco was typically $3.99/lb and we found the best overall meat prices from a grocery chain called Three Bears. 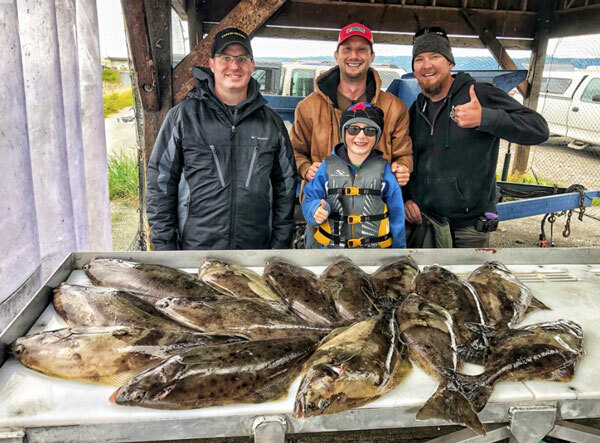 This would also be a good time to mention that if you plan to fish (we caught salmon and halibut), chances are good that your freezer will be filled to overflowing. In many ways, these benefits helped to offset the increased prices of other foods. As a side note, we found the overall prices to eat out exceeded our typical “date night” budget so we limited our dining experiences to a scarce few. RVING ALASKA TIP #9: We found a few Costco locations in which we stocked up on food: Grand Prairie, Canada, Anchorage, Alaska and Prince George, British Columbia. By the summer of 2019, a new Costco plans to open in Fairbanks. If your freezer space allows it, stock up on frozen veggies when you find good prices. Consider purchasing a book on edible plants. There are quite a few plants and berries that you can forage for which is not only fun, but helpful for your food budget! 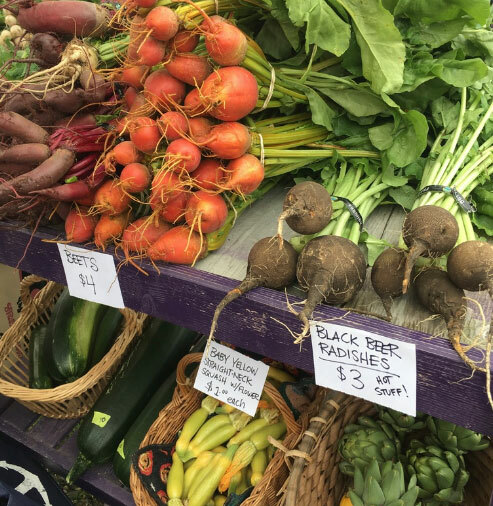 In addition, seek out local farmer’s markets for a great variety of local produce and a chance to support the local farmers. I was unsure what to expect in terms of mail retrieval while RVing in Alaska. However, we soon discovered that if we were going to be in the same location long enough or if we used enough advance planning, it was not a problem. In some cases, we had mail delivered directly to an RV park (fun fact: we only spent a total of 7 nights in an RV park all summer). At other times, we mailed items to the post office using general delivery (you can find out more about using general delivery here or here). This worked just fine on some occasions and another time the small rural post office was not open during the stated hours and I missed my opportunity to pick up my letter. In this case, the item is returned to the sender and you get to start over again. RVING ALASKA TIP #10: Give yourself a good buffer as mail delivery times can take longer in Alaska. Plan ahead and depending on your travel speed, consider shipping items to your next location. QUESTIONS ABOUT RVING IN ALASKA IN THE SUMMER? I hope you’ve found my top 10 tips to be helpful as you consider your own RV trip to Alaska. Do you have any questions I didn’t answer? Perhaps you have a tip to add to my 10 above. Please leave your comment below! 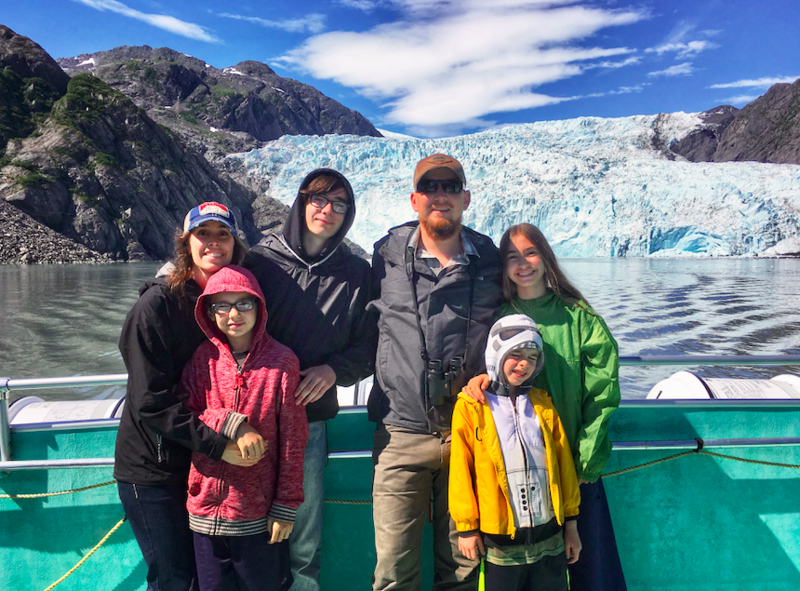 If you find yourself wanting more info on what it is like to travel to Alaska in an RV, I’d invite you to watch the YouTube videos produced by my husband (he is still working on adding more) and several of our RVing friends who traveled there the same summer as our family. Click below to be taken to their YouTube channels.